Thomas Sowell takes a tough, factual look at whether the civil rights movement has lived up to its hopes or its rhetoric. In the decades since the historic Supreme Court decision on desegregation, who has gained and who has lost? Which of the assumptions behind the civil rights revolution have stood the test of time, and which have proven to be mistaken or even catastrophic to those who were supposed to be helped? Look to the long term...that's the main message of Applied Economics. Dr. Sowell is a master of making the complex understandable. This book covers a number of topics such as rent control, land use restrictions, and corporate tax rates. He follows each through to its logical conclusion, pointing out that politicians often cast votes with an eye only on the current election cycle. We need to make wise decisions based on sound facts, not emotion or sound bytes. Dr. Sowell is a very wise man, and a wonderfully effective teacher! Any book he writes is worth reading! 100 percent!!!! An in depth and well articulated work on the goings on of the American economy. Despite the comments of other reviewers, this book does not support the 'right wing' Rebuplican agenda like books by Glen Beck or Ann Coulter might. Rather, Sowell focuses on economic facts and calls members of both political parties for actions taht tend to damage economic prosperity. Also, unlike the political cheerleader authors, Sowell's works are more educational in nature, and spend lest time bashing anyone than they do explaining actions and consequences. While he certainly notes that politicians (on both sides) tend to act against the best long term interests of economic growth... he shows why they will inevitably do so, regardless of party, by outlining the incentives that govern political decisionmaking in relation to economics. Well worth the read, regardless of your political orientation. Be warned, however, the economics discussed here is based on looking at the choices real people make rather than on studying the aggregated graphs of entire populations (ala John Keynes). It's an easy listen as well, despite the offputting title. The prose is light and isn't filled with overly academic pretention, and the narrator handles the material well. While listening to this book I was impressed by the excellence of the writing but disappointed as I found myself again and again distracted by the reader. The reader seems to think it's his job to dramatize the book. In all books, especially non-fiction, the reader's influence should fade into the background so that the writing comes to the forefront. This reader almost seems to be trying to upstage the writer by continually bringing the focus back to himself. It was a solid text and very interesting, I just wish they had rehired the guy who read Sowell's "Basic Economics." Thomas Sowell writes more clearly on economic issues than almost anyone else (though sadly he recently retired from writing). While others think and analyze in aggregates (women earn less than men, black men are disproportionately murder victims, the bottom 20% aren't making real economic progress), Sowell breaks down the figures to show that comparable women have earnings nearly identical to comparable men, black men are disproportionately the shooters in homicides and the people who were in the bottom 20% a generation ago aren't there now (unless they still don't add economic value to others). His conclusions don't fit neatly onto protesters' signs or into pithy slogans, however. 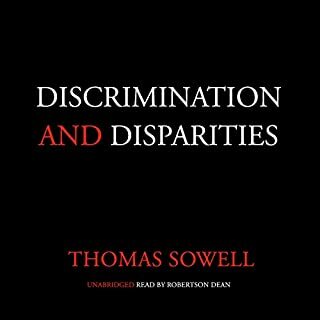 Sowell clearly explains that discrimination is more prevalent where the costs are low (everyone else also discriminates against a certain group, or there are so few laborers of a particular race or gender that excluding them barely shrinks the pool) and less prevalent when the costs are high (employers lose a competitive advantage because they hire inferior workers who reflect their biases). 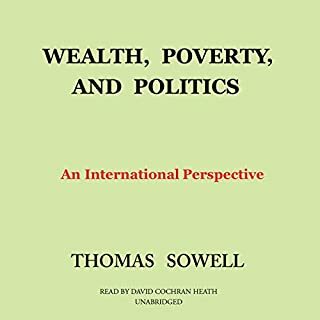 If you haven't read Sowell, you can't talk intelligently on discrimination, economic distribution or the differences in economic performance and income of individuals with different racial, ethnic and gender characteristics. Period. 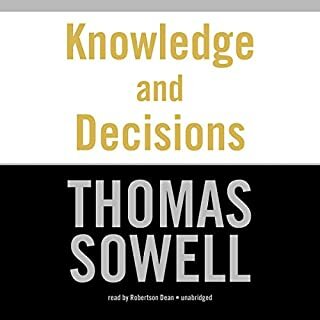 Thomas Sowell did an excellent job organizeng this book, chapters are easy to follow and the book flows very well. When I was studying economics as an undergraduate, it was called political economy. 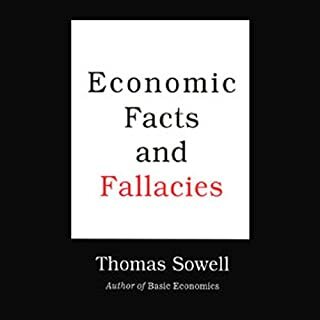 Dr. Sowell's book illustrates how politics drives economics. The discussion of housing prices in California was especially illuminating to me. It makes me wonder how much of the cost of medical care is driven by politics. I found this book to be very "listenable" and and helped numerous three hour commutes go by quickly. 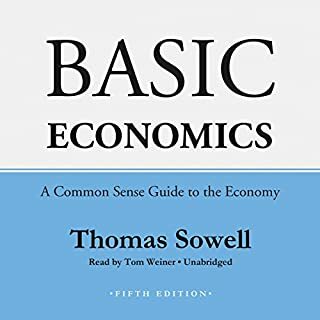 I read Thomas Sowell's Basic Economics before this one, and it is a good follow up. It does repeat a lot of the same themes covered in BE but with more focus on the long-run effects of policies that may appear to pay off in the short run. He also does diverge somewhat towards the end in his discussion about immigration, but it's still good analysis even if he sort of goes off on a tangent. Sowell is a master teacher, able to explain economics without charts and graphs and be understood. A spellbinding and captivating experience. I enjoyed the examples and relevance. The author clearly explains how to separate political from economic incentives, and explains why in so many areas we have difficulty communicating our political ideas with one another. This is a great Austrian and libertarian perspective with excellent examples and evidence. It is superb for schooling state-worshipers concerning why their religion is just the criminal power acquisition of thugs over their victims. Government programs beyond the nightwatchman state are not a public benefit and price controls are damaging lies about supply and demand. Sowell, more than anyone explains why government planning of an economy cannot work in addition to the fact that it has never worked and is only productive of corpses in ditches. What was one of the most memorable moments of Applied Economics? Many memorable turns of phrase that are good mnemonic for teaching. Have you listened to any of Bill Wallace’s other performances before? How does this one compare? A course on this book to be sure. A documentary possibly. It is reality and facts so not really the makings of a Hollywood state-worship product. 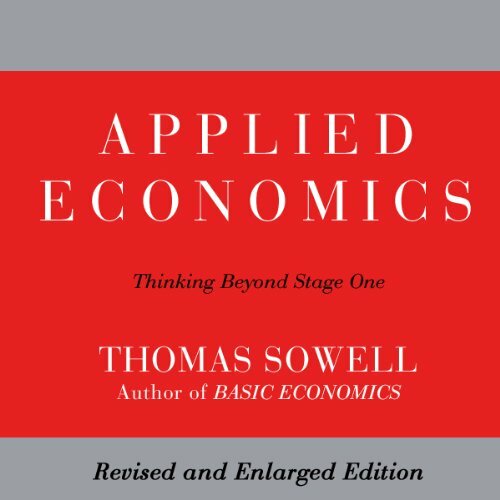 Where does Applied Economics rank among all the audiobooks you’ve listened to so far? This is the best book I've ever read/heard regarding the impact of public policy on the public. I was particularly interested in how the book differentiates between the intent of public policy and its after-effects, which can be completely opposite. What about Bill Wallace’s performance did you like? The narrator had a pretty standard delivery with no obvious mannerisms or other distractions. If you could give Applied Economics a new subtitle, what would it be? 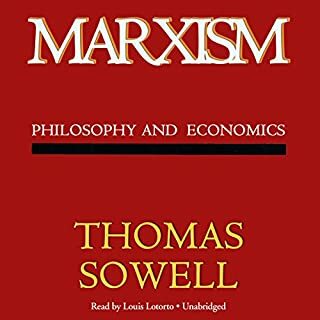 This good provides a good understanding of economic concepts with tangible examples, however Thomas sowell is biased towards a hayekian view throughout the book. Non-the-less the book was an interesting and insightful read for those who want to think beyond typical economic policies. It's best if you listen to other writings by Thomas Sowel with the same interest. The concepts are interconnected, coherently developed and very practical in the eyes of an undergraduate economist as well as a general reader.